Star Wars: The Force Awakens’ Maz Kanata concept art revealed! Our friends at Indie Revolver have released another image from the Star Wars: The Force Awakens. 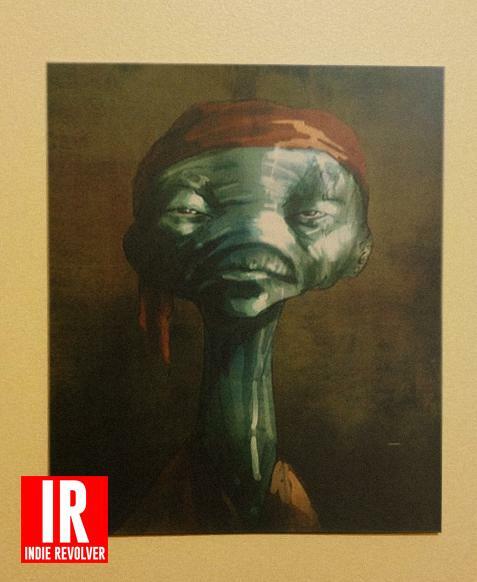 This is a solid look at the concept art for Maz (codenamed “Rose”) we talked about here (and other pieces). I have my doubts that it is exactly what Maz looks like in the final film, but it is really in the ballpark. We’ve heard she has facial markings in the film but we haven’t been able to confirm that yet.